The book is a collection of articles written on elections and the performance of political parties in various states of Northeast India. 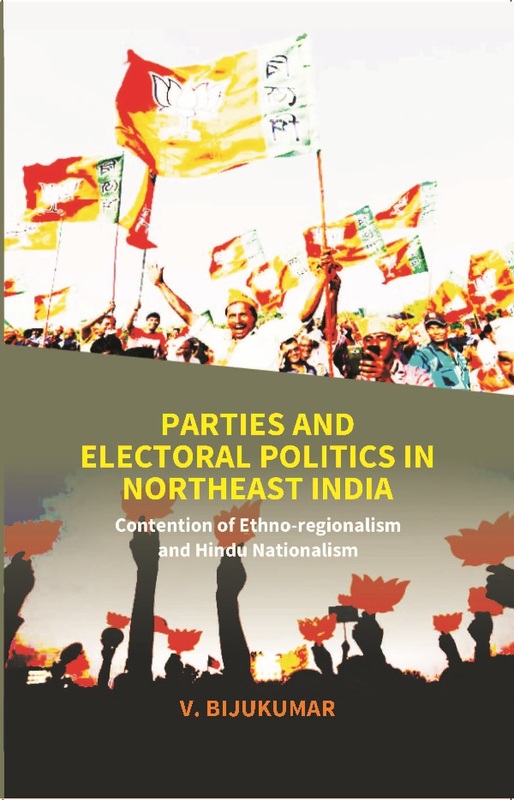 It also an attempt to highlight the trajectory politics of the Northeastern states from ethno-regionalism to Hindu nationalism. Most of the states in Northeast India is largely dominated by Christianity and homeland for multiple ethnic communities. Inspite the existence of ethno-regional political parties and organisations and everyday ethnic assertions and self-determination, the national political parties played a vital role in the electoral politics of these states. Though the Congress party which scripted history in the politics of these states for decades since the formation of many Northeastern states, in the aftermath 2014 general election, the Hindu nationalist politics assumed a centre stage reducing the space of the Congress. These articles capture the intricacies of emerging politics in the northeastern states which would be a guiding light for the researchers and common readers on India's Northeast. V. Bijukumar is currently Associate Professor at Centre for Political Studies, School of Social Sciences, Jawaharlal Nehru University, New Delhi. Prior to joining JNU, he taught Mizoram University, Aizawl and North Eastern Hill University, Shillong. His areas of Specialization include: Comparative Politics, Political Economy of Development, Democratization and North East Studies. V. Bijukumar has a distinctive academic career as he holds first rank and gold medal both in his B.A. and M.A. in Political Science and has completed his doctoral degree from Centre for Political Studies, JNU. He is the author a book titled, Reinventing the Congress: Economic Policies and Strategies since 1991 and contributed more than fourty five research articles in various national and international journals and fourteen articles in edited volumes. In addition to this he is also a contributor to various regional and national dailies such as The Mizoram Post, The Shillong Times, The Hindu, etc.